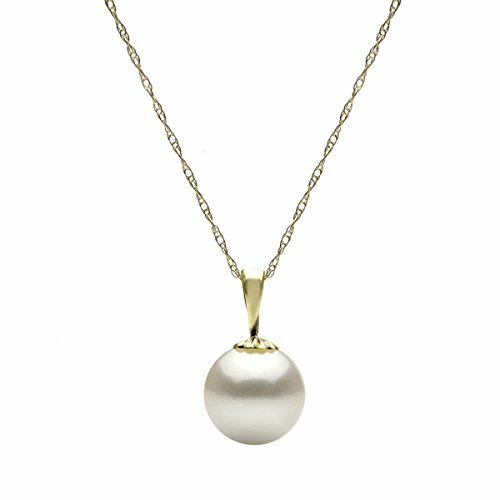 A Beautiful and Elegant 14k Gold White Round Freshwater Cultured High Luster Pearl Pendant Necklace 18" Length. This Pendant Includes a Gold Rope Chain, and Secured With Spring-ring Clasp. We Carry Different Size Per Pearl, Different Metal Types, Different Color of Pearl, and Different Pearl Type. Please Contact Us if You Do Not See What You Need. TIMELESS ELEGANCE - This classic 18 inch chain necklace is crafted of solid 14K gold and is finished with a spring ring clasp and contains a dangling high luster freshwater cultured pearl. If you have any questions about this product by La Regis Jewelry, contact us by completing and submitting the form below. If you are looking for a specif part number, please include it with your message.